U.S. GDP increased nearly 49 percent from 2005 to 2018 at the same time that oil and natural gas production grew by 177 percent and 68 percent, respectively. In good news for Americans, but bad news for Oil Change International’s faulty argument, during the same period, CO2 emissions fell 11 percent. 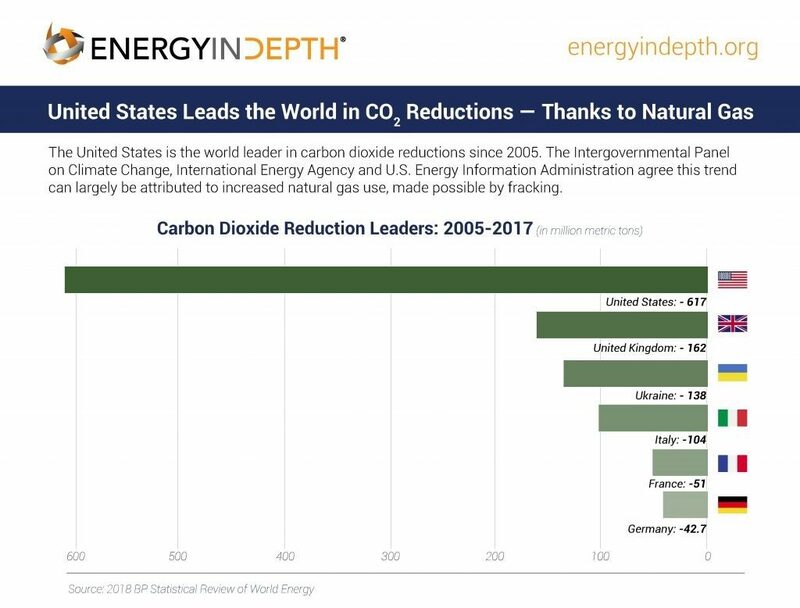 In fact, the United States leads the world in carbon emissions reductions, and U.S. per capita carbon emissions have hit their lowest levels since 1950. The Appalachian Basin (Ohio, Pennsylvania and West Virginia) – one of the “epicenters of fracking” where “nearly 60% of the carbon emissions enabled by new U.S. drilling would come,” according to the report – is actually spearheading U.S. CO2 reductions. 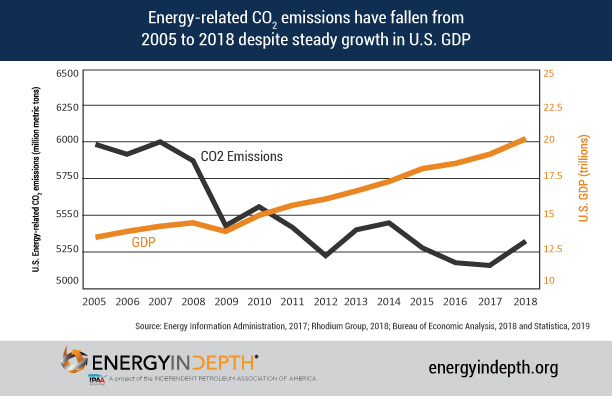 The combined basin accounted for 18 percent of total U.S. carbon emissions reductions and 21.5 percent of total U.S. carbon emissions reductions for electricity generation, according to the most recent Energy Information Administration data. Ohio actually has the highest reductions in the nation – a whopping 57 million metric tons (MMT) total and 50 MMT emissions from electricity generation. 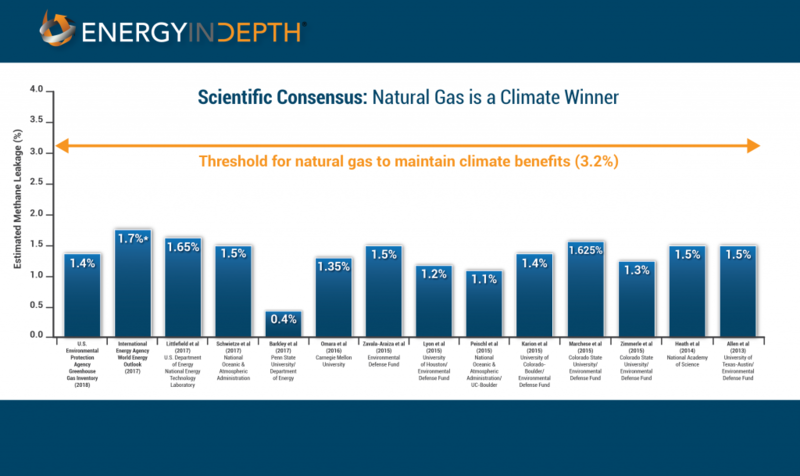 Further, multiple studies have shown that the leakage rates of methane are well below the threshold for natural gas to maintain its climate benefits. While it may not be what “Keep It In the Ground” groups such as Oil Change International want to hear, the fact remains that the United States is proving the economy and the environment can improve simultaneously. And the oil and natural gas industry is a major driver of those improvements.